Cobra hats - taking count for small run. If i'm not too late I would like to buy two caps also. Please advise what amount to send it to Switzerland. Thanks !! Put me down for 4. I will forward check over the weekend. I would love a hat. Shipping to 21111. Funds sent today. Round 2 hats went out today. I would say about 95% are on route at this point. Last edited by 1985 CCX; 12-30-2017 at 01:34 PM.. I thank you all for your patience and interest. All hats are on route or spoken for at this point. Jeff: what is the delivery time through the postal service? Guessing yours will arrive mid week next week. I would be interested in 4 hats if any are left? Once again Jeff, thank you for putting this all together. It is greatly appreciated by all of us . Will be sending out last batch to those that have already paid this week. WOW, my hat arrived today and I'm ecstatic, I'm like a 76yr old kid at Christmas time. jolsen42 and jmimac351 like this. 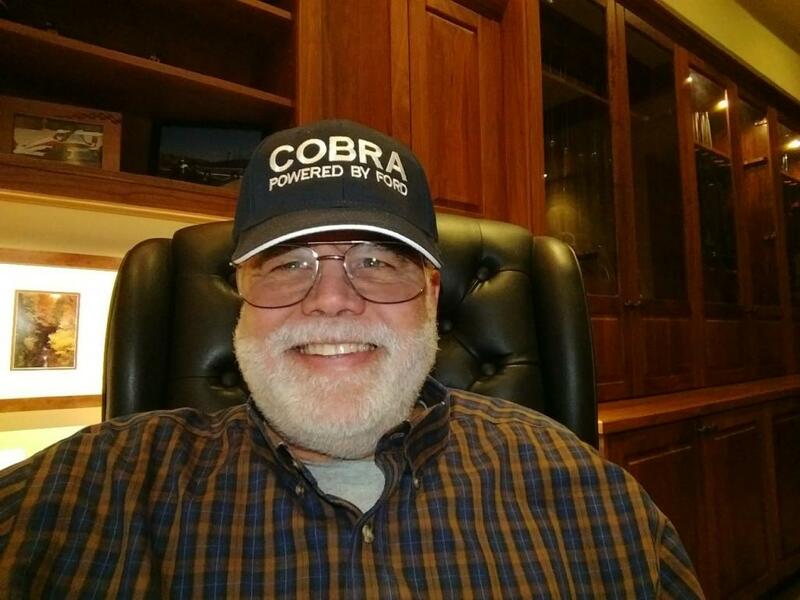 I received my cobra hats today. They look great. Many thanks to Jeff for his noticeable efforts. When you drive a Cobra, every day is like Christmas! Don't know why I'm upside down !! 1985 CCX and legenmetals like this. Last edited by Ozzie Goat; 01-02-2018 at 02:43 PM..